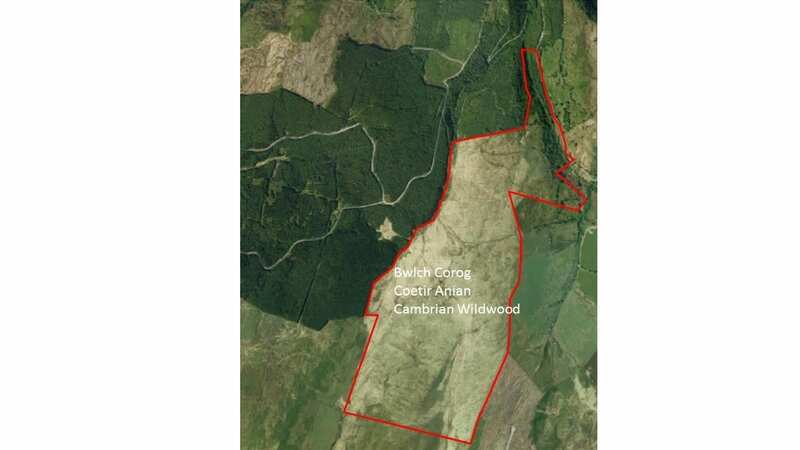 Bwlch Corog, previously known as Cefn Coch, was acquired for Cambrian Wildwood in May 2017. 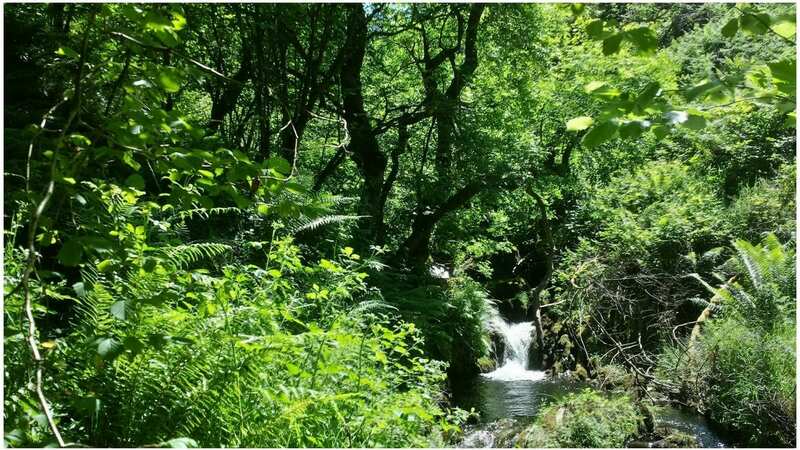 Wales Wild Land Foundation hold the land on a 125 year lease from Woodland Trust, who purchased the freehold at this time. 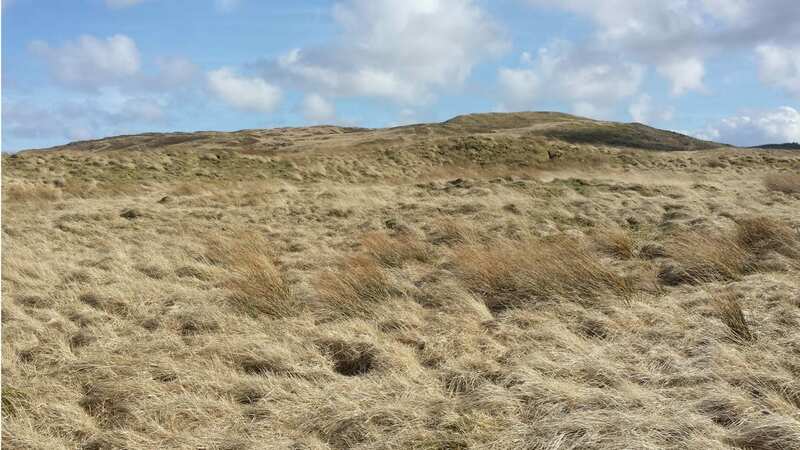 The site is 350 acres (140 hectares) of moorland dominated by purple moor grass (Molinia caerulea) with a relatively small area of ancient woodland alongside two upland streams in the northern corner of the site. 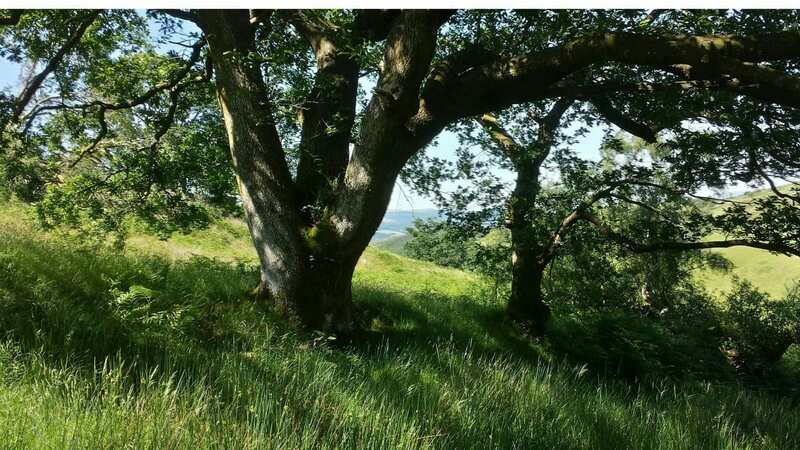 The aim for Bwlch Corog is for native woodland to colonise naturally. 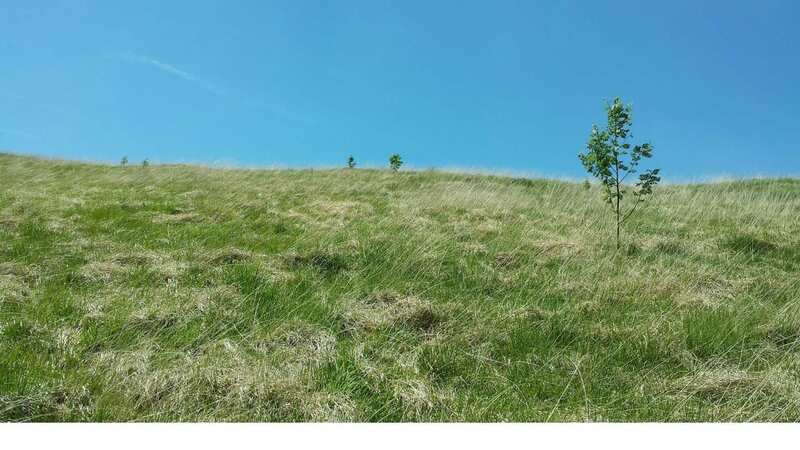 This will be assisted by planting around 8,000 native trees in small groups across the site, to provide a seed source in this relatively treeless upland landscape, and to bring back tree species that are no longer present locally but used to grow here. 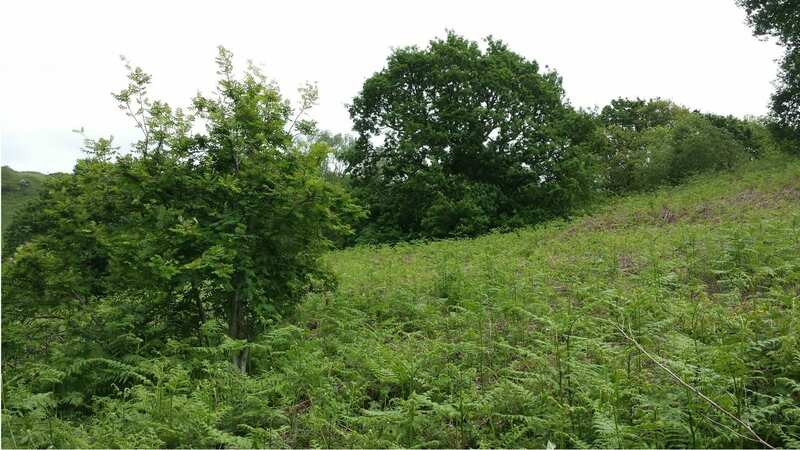 We envisage that the existing woodland will spread into the bracken and up the slopes, with scattered trees on the moorland. Other initial work will include the blocking of drainage grips throughout the 12km network criss-crossing the site. The large swathes of purple moor grass will revert to blanket bog and heather moorland, some of which will be mixed with native woodland or occasional trees. The site was not grazed for about six years, prior to our acquisition. We introduced wild horses, 5 mares and 1 stallion, in April and June 2018. Other large herbivores are a longer term plan and subject to proper investigation of the appropriateness and practicalities. Restoration of habitats will offer the right conditions for bringing back some of the lost animal species. This may be achieved by natural colonisation, for example it is expected that bird species will be attracted to the area as the habitats are restored. We will also consider reintroduction programmes, following detailed research into feasibility. These could include water vole (Arvicola terrestris), red squirrel (Sciurus vulgaris), mountain hare (Lepus timidus), wild boar (Sus scrofa), beaver (Castor fiber), and wild cat (Felis silvestris) for example, as well as other small mammals. 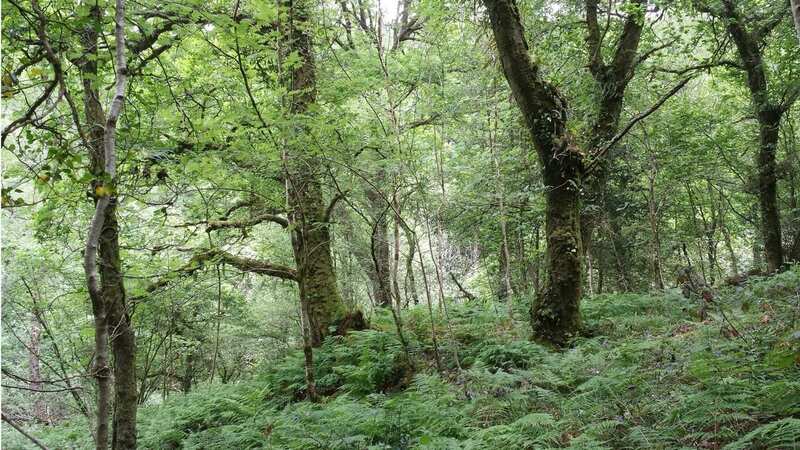 The remnant population of pine marten in Wales has been boosted by the introduction of 51 animals from Scotland over the last three years, with the release sites not far from the Cambrian Wildwood site. 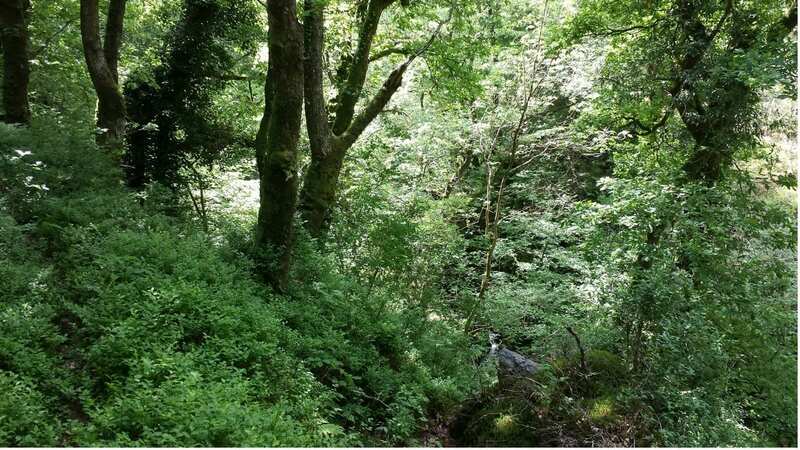 The first priority is to carry out surveys to see what birds, mammals, plants and invertebrates are present – providing baseline data to see how things change over the years. We have improved the paths and created new paths across the moorland to facilitate access on foot and horseback. 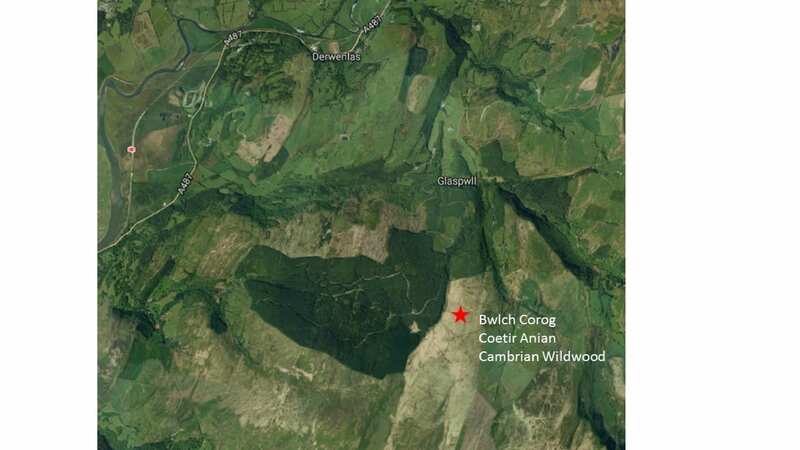 Bwlch Corog is situated in the hills above the River Dyfi, between Machynlleth and Aberystwyth. 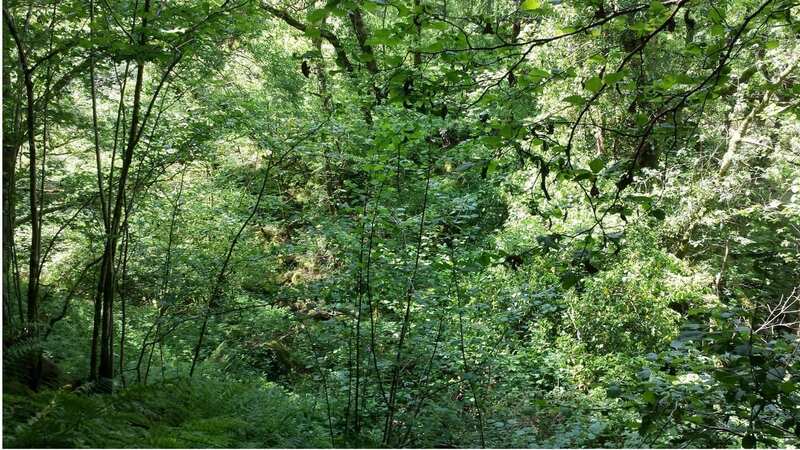 Access is via the village of Glaspwll, from where a public bridleway follows the Nant y Factory and Nant Cefn Coch streams. Or it is possible to follow the track to Llechwedd Einion, and access on a public bridleway via a gate. 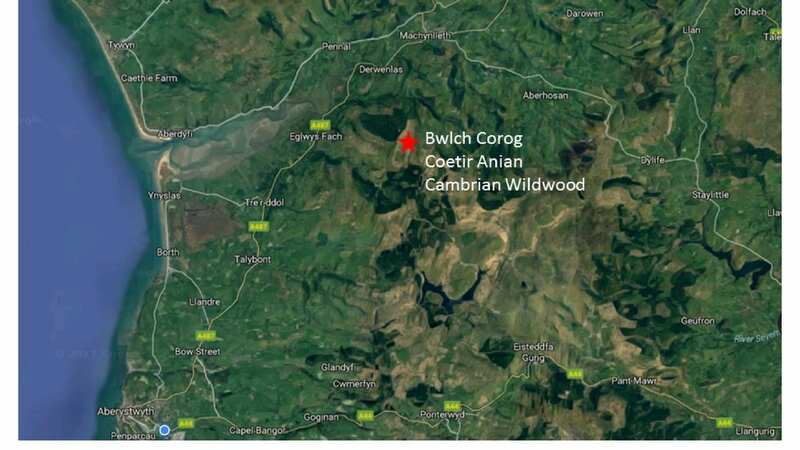 The approximate boundary of Bwlch Corog is shown in red. 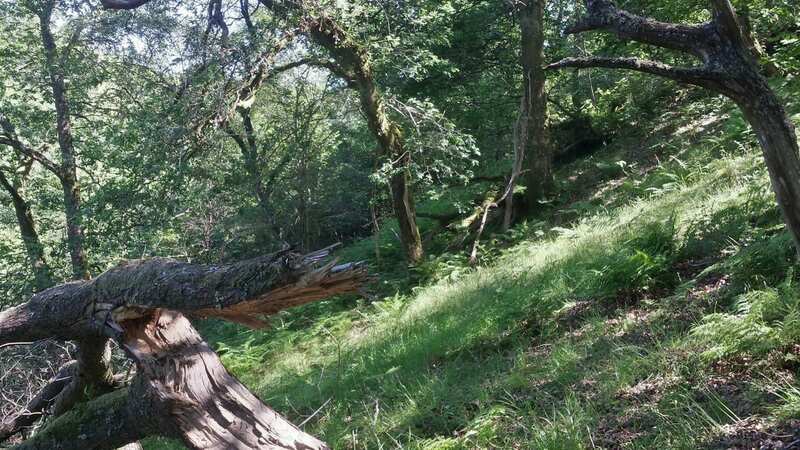 Some images of the woodland and moorland of Bwlch Corog……. 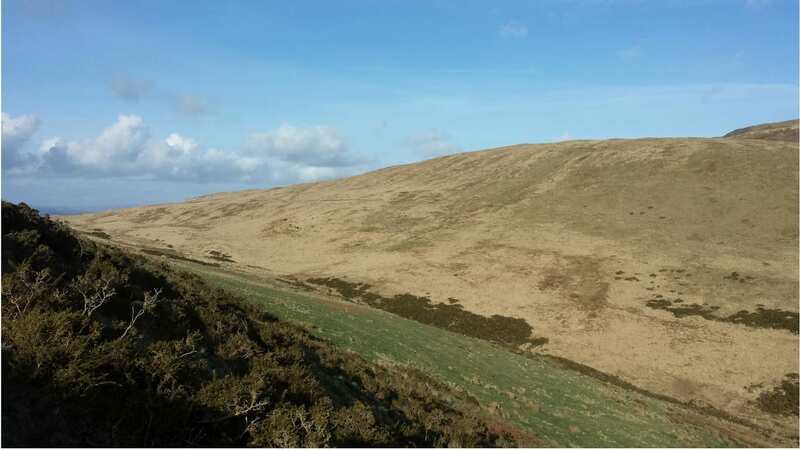 Please note that some parts of the landscape in the photos are not part of Bwlch Corog, especially those with long views.